Anthony Lavorata is a native of Northern Illinois. There, he discovered a love for Catholic teaching. He thoroughly enjoys board games and painting. Earning a degree in Theology from the Univerity of St. Francis in Joliet, he specialized in eschatology and metaphysics. He then served St. Elizabeth Ann Seton in Crystal Lake as a Youth Minister, focusing on Confirmation formation, retreats, and head chef at their annual fish fry. He recieved his Graduate degree in Theology and Christian Ministry from the Franciscan University of Steubenville, Ohio in 2015. 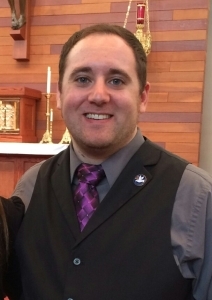 With experience in teaching high school theology and directing diocesan ministry, he looks forward to sharing his knowledge and experience with those from St. Pius X Parish.